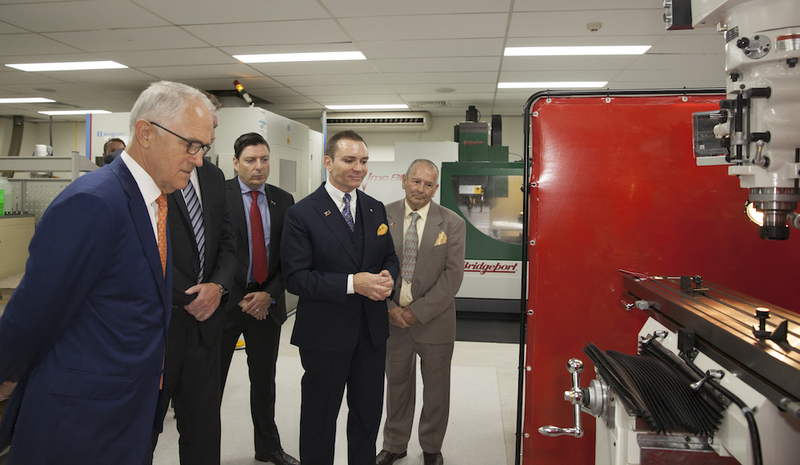 On Friday the 24th of February, Australia’s Prime Minister, The Hon Malcolm Turnbull MP, visited pro audio institution RØDE Microphones at the manufacturer’s Silverwater facility, in part to celebrate the Freedman Electronics 50th anniversary. Prime Minister Turnbull and The Hon Craig Laundy MP, Assistant Minister for Industry, Innovation and Science, were greeted by RØDE Founder and Chairman Peter Freedman AM, Freedman Electronics CEO Mr. Damien Wilson and Mr. Tony Furney of Furney’s Engineering, then toured the RØDE campus’s state-of-the-art anechoic chamber and various manufacturing departments. 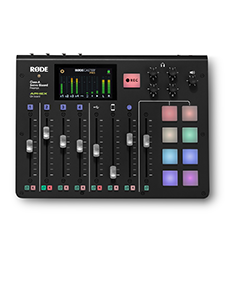 These include RØDE’s precision CNC metal work, surface-mount-technology electronics production and RØDE’s one-of-a-kind manufacture installation – the Capsule Cell (it makes the “heart” of the microphone – the capsule). 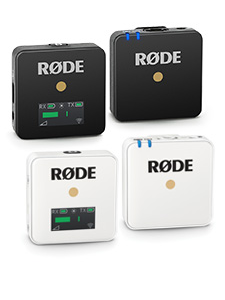 At the subsequent press conference on RØDE’s product assembly floor, Prime Minister Turnbull was delighted by RØDE’s continued growth, use of investment and innovation, creating “smart” manufacturing jobs in tandem with world’s best machine practice. He emphasised the need for reliable and affordable energy in the building of an internationally competitive electronics exporter like RØDE and how the Enterprise Tax Cuts scheduled for the budget will create the opportunity to employ more staff. 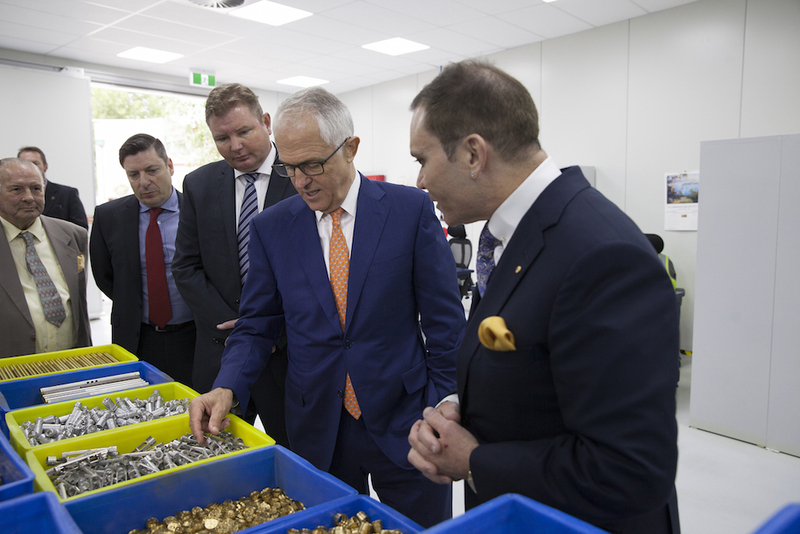 The Prime Minister said, “RØDE is an extraordinary story of Australian innovation; Australian manufacturing of the most advanced microphones, made here right in Sydney from the start. 94% of RØDE’s sales are exports – Peter, it is an extraordinary achievement. 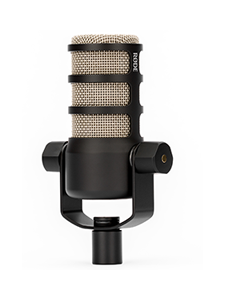 RØDE has got, in one of the most competitive markets in the world, the best microphones. RØDE Microphones – they are legendary, sold around the world – you have them on your cameras here. RØDE chief Peter Freedman AM was humbled by the recognition of the company’s milestone and success, thanking the Prime Minister for his interest and dedication to promoting Australian innovation and export. The Freedman Electronics 50th Anniversary continues through 2017.